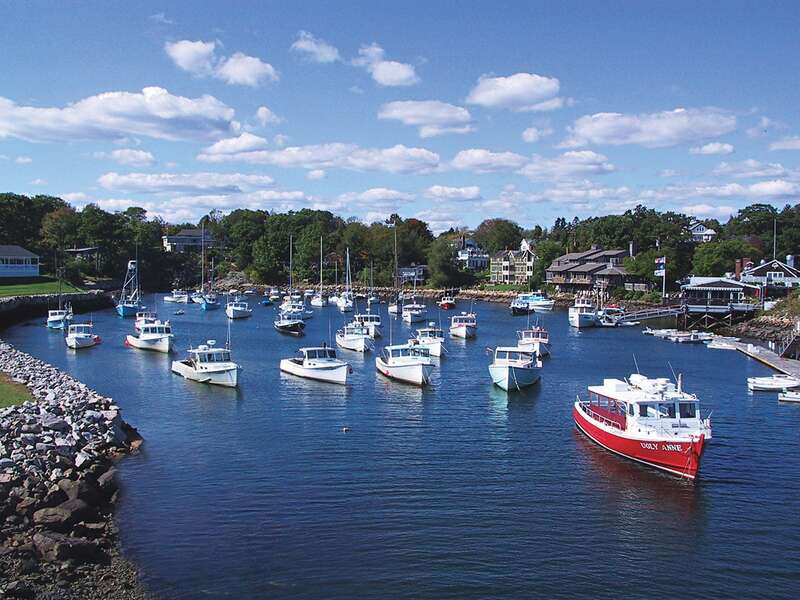 Discover why Ogunquit, Maine is named “Beautiful Place by the Sea”! A charming seaside town located north of The Lenox Hotel & Boston in Seacoast Maine – is most famous for its 3.5 miles of beautiful white sandy beach, which has been named one of the Top 25 Beaches in the US on TripAdvisor. An old-fashioned trolley system links the beach to the center and to Perkins Cove, as well as to nearby shops, art galleries and a myriad of dining options. During the summer season especially, Ogunquit is an amazing destination for visitors looking to enjoy the outdoors – kayaking, walking, running and biking are all popular. Begin your visit at the Main Beach, with its convenient parking lot and local food offerings. After a fun breakfast at Splash-right on the ocean-the warm sun and the powdery sand and fabulous waves might make you want to stay all day. It’s easy to see why Ogunquit Beach is on many Top USA Beach Lists! After enjoying a day at the beach, walk up to the center of town to savor a sweet treat at Harbor Candy-still making chocolates the old fashioned way with a taste to prove it. Their nut barks and non-perils are legendary! If you have children in tow, pop into Animal Instinct, a great independent shop sure to please the child in all of us with its great selections of toys, games and plush animals. Artisan pizza or sandwiches are available at The Village Food Mart or Cornerstone or La Pizzeria. From the town center jump on the trolley for a short ride to Perkins Cove– still an active fishing port but also home to art galleries and restaurants. Perkins Cove offers everything from an intimate elegant candlelit dinner at MC Perkins Cove to a lobster roll and rum punch – be sure to ask for the extra dark rum floater – on the deck at Barnacle Billy’s. Follow the paved Marginal Way path as it winds its way through surf sprayed cliffs fragrant with sea roses, leading you back to the Main Beach. Perhaps an ice cream at Charlie’s for the ride home? Next time, plan to visit for a weekend and you can experience a lobstering info breakfast cruise on the Finest Kind or score great seats to a musical at the Ogunquit Playhouse–one of America’s oldest summer stock houses- capped off with a rollicking late night sing along at the Piano Bar at the Front Porch. All of these adventures are too much fun for one day, but once you experience a day in Ogunquit, you’ll be back!